After their logo redesign, Total Benefit Solutions has been revamping other branding materials in order to create a cohesive look and style. We designed a small promotional publication for them and it became very apparent the website needed to follow suit. We took the promo design then modified and formatted the layout and content for the web. 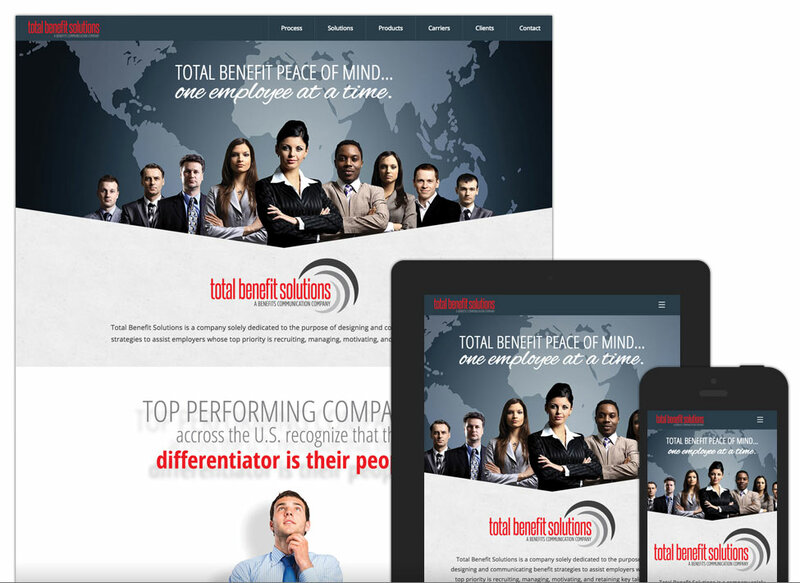 The website is mobile friendly so no matter the screen size, Total Benefit Solutions can pitch their services knowing they have a gorgeous website to display their message.